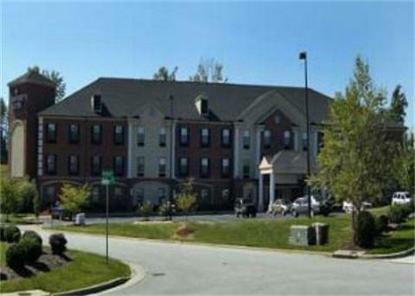 The Ashford Suites Hotel is an 81 room boutique hotel centrally located in the Triad area. The hotel is located on Highway 68 minutes from the Piedmont Triad International Airport as well as Interstates 40 (1.5 miles) and 85. The hotel provides complete and flexible services and amenities including a complimentary full hot breakfast, free high speed Internet irons and ironing boards, coffee/coffeemakers, and hairdryers. Additionally, each room comes equipped with a CD player, high speed internet and fireplace and half of the rooms have two person jacuzzi?s. Meeting space is available from 2-100 persons.